Home Facility Management Nearshoring What will manufacturing procurement look like in 2015? 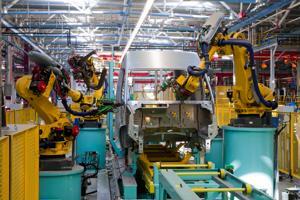 What will manufacturing procurement look like in 2015? Coordinating material distribution with reliable suppliers and purchasing equipment to keep facilities updated are two objectives procurement officers will strive to complete in 2015. This isn't much different than any other year, but the landscape on which these practices are completed is due to shift in a particular direction. For one thing, nearshoring to low-cost production economies will likely continue. While it's easy to segment manufacturing economies by country, it's important to assess the industrial sector from a global perspective. For years, the West and the East have primarily behaved as consumers and producers, respectively, with U.S. developers contracting Asian production companies to fabricate the goods they design. Now, an atmosphere of uncertainty is causing procurement officers to rethink a model that has persisted over the past 30 years. Manufacturing.net spoke with Manufacturers Alliance for Productivity and Innovation Foundation Director of Economic Studies Cliff Waldman, who acknowledged the rapid growth rate of industrial investment but wondered as to how long the 24 percent year-over-year increase will last. "With U.S. domestic policy being somewhat less uncertain, investment strength in the New Year will depend quite a bit on the perilous state of the global economy and whether a number of critical regional issues can be resolved," Waldman told the source. "Deflationary concerns in the Eurozone, the continuation of a slowdown in China [and] an economic crisis brewing with Russia are all risks for business investment and U.S. manufacturing." Given the current state of the U.S. economy and its resources, it's expected that reshoring operations will focus on the development of the nation's natural gas sector. Zegers referenced a PricewaterhouseCoopers report showing that shale gas extraction could add 1 million U.S. production jobs from now until 2025. For instance, one U.S. steel manufacturer recently invested $100 million in a Midwestern facility to satisfy demand for tubes and pipes needed in processes associated with shale gas. The steel producer example cited above is one example of how domestic natural gas producers are connecting with U.S. suppliers to reduce transportation costs and ensure timely delivery. Whether or not it foreshadows a mass reshoring arrival is debatable.